On Saturday, October 19th, Pure Art friends were “spinning” dreams at the Physical Park in Vaudreuil. This inspiring effort raised over $4000.00 to help build a new medical clinic in Pucallpa Peru! 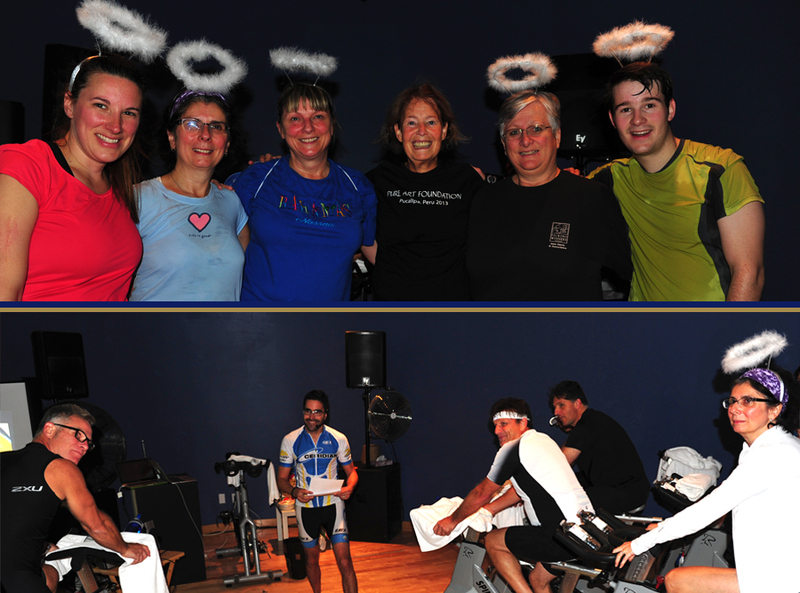 Community volunteers, sponsors, and participants of this first Foundation spin-a-thon displayed boundless energy over the three hour event, which surpassed expectations. Thank You everyone who took part. You have spun the hopes of struggling Peruvian families into the reality of proper health care, through your actions. Special thank you to Diana McDougal who organized the event along with the talented motivator, Sylvain Bergeron who led the spinners on an exhausting, but exhilarating journey! We are grateful to all cyclists, in particular the energetic staff from Alan Davis & Associates who came out and made a difference as a group. We thank Sue Spencer, Diana Deakin, Karen Frazer, Diane Bates, Brandon Johns, Mara Crossila and Claire Hughes and the rest of the spin gang who collaborated together to make this event wildly successful. You have all made a substantial impact a world away. Thank You!